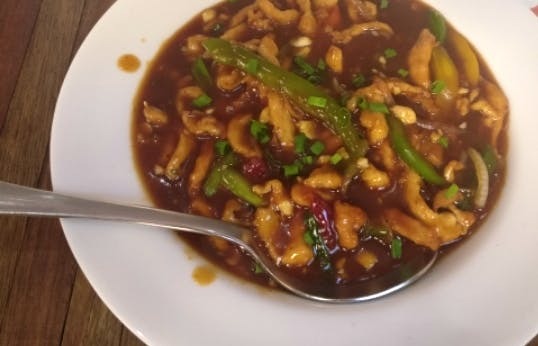 Fat Buddha on Cunningham Road in Vasanth Nagar serves delicious Chinese food and they also provides great service and a dining experience that's totally worth the money you end up spending when you're here. They could work on the interior of the restaurant. It seems quite boring, to be frank, and they could probably revamp the furniture to attract more crowd. You can easily drive to the restaurant, they offer valet parking, so you don't need to hunt for a parking spot. Their food is absolutely fantastic and is on point. I'd recommend their Pepper Chicken Fingers, Hunan Chicken and Black Pepper Fried Rice. The Kung Pao Vegetables is another great option that they have on their menu.